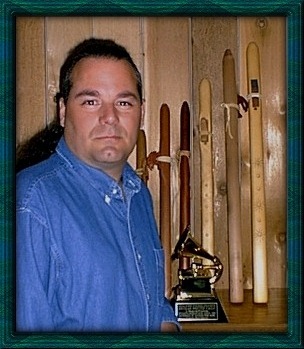 There is little I can say about the Oregon Flute Store, the Custom Flute Shop, and Jeff and JoAnn Calavan, beyond saying greater than half of my many flutes have come either from the Oregon Flute Store, or been made by my good friend, Jeff Calavan. Ill never forget the day that a flute was stolen in the middle of a tour, and Jeff Calavan rushed a flute to the airport, and had it Delta-Dashed to the next city the tour was playing in. That is customer service. Since that time 6 years ago, Ive come to know Jeff and JoAnn, and many of their customers. Im very proud to recommend the Oregon Flute Store, and have always been comfortable enough with Jeffs flute recommendations to the point that I just tell him the key of instrument/type of wood that I prefer, and in every case, Ive kept the flute that has been sent to me to try out. The heart of the Oregon Flute Store is warm, friendly, and compassionate. Ive had fans in England, India, Australia, Sweden, and many other spaces across the globe write and thank me for recommending the Custom Flute Shop and the Oregon Flute Store. Jeff and JoAnn Calavan are not only wonderful, sincere people; they deal with only the best of the best flutemakers out there, and I highly recommend any instrument that they might offer. Thanks Jeff and JoAnn, for being out there for me! Its a comfort knowing that I can always count on you to take care of my flute needs.